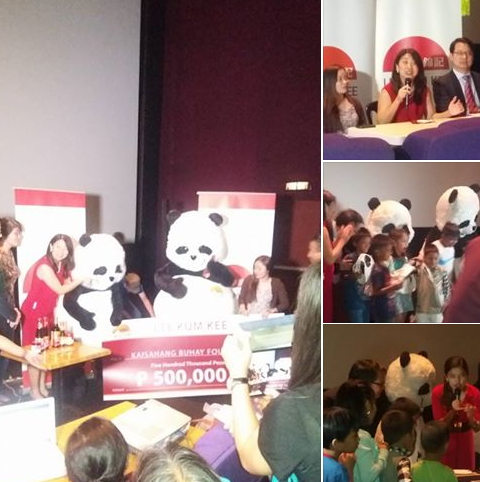 Last March 11, 2016, Lee Kum Kee, the century-old international brand and inventor of Oyster Sauce, treated 150 orphans from the Kaisahang Buhay Foundation to a special cinema screening. The children enjoyed the movie and the meals together with the Lee Kum Kee Pandas. In the same event, Lee Kum Kee presented its P500,000 cheque donation to the said non-profit child and family welfare institution. Carmen Liew Mei Ling, Lee Kum Kee Regional Marketing Director and Ronald Wong Wun Wing, Lee Kum Kee Corporate Affairs Senior Manager talked about the company's presence in the local market, and how they reach out to moms and their families in the Philippines. Lee Kum Kee has established a series of corporate social responsibility programs across the globe. The company partners with local associations to promote Chinese cuisines and sponsors culinary art programs to cultivate talents for the industry. 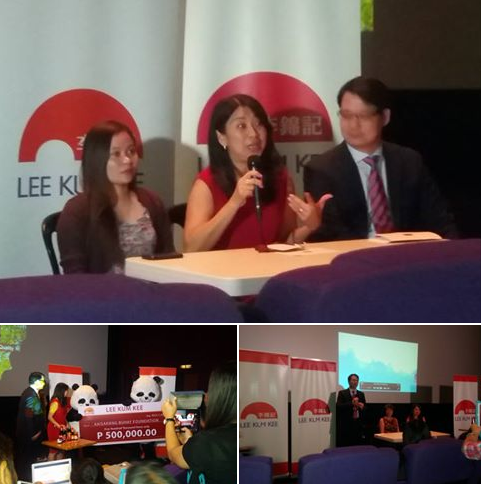 Lee Kum Kee further strengthens its commitment to benefit the community that contributes to its global success by sharing of fruits of success. “Lee Kum Kee has committed on CSR efforts for years. In sustaining our company core value of “Considering other’s interests”, we are proactively engaging and benefitting the local community. "Lee Kum Kee has been long part of the community in the Philippines and would like to take this time to give back to the community”, said Carmen Liew Mei Ling.